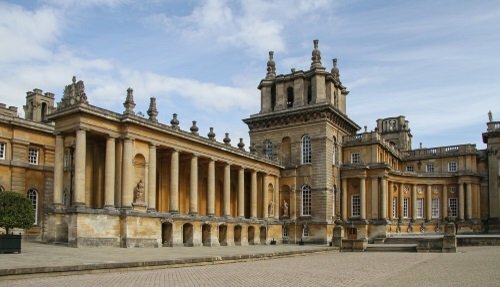 Our Cotswolds, Downton Abbey & Blenheim Palace Day Tour from London or Oxford takes you to many of the locations where the Downton Abbey TV series was filmed. Start the day with a visit to Yew Tree Farm which was the home of Mr Drewe. 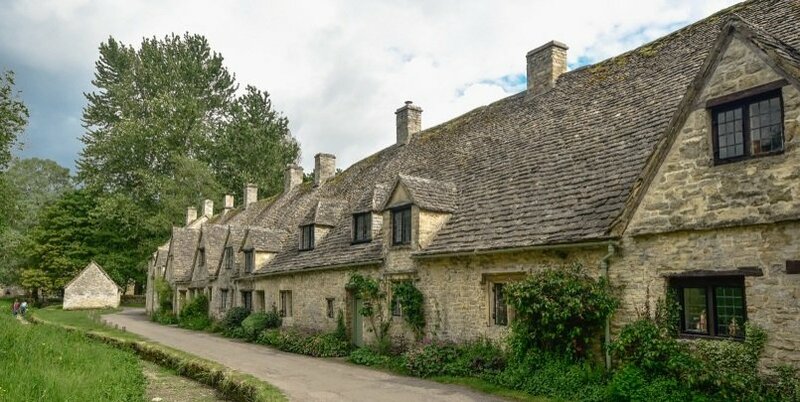 From here, discover the village of Bampton which was used extensively in the filming of the series. 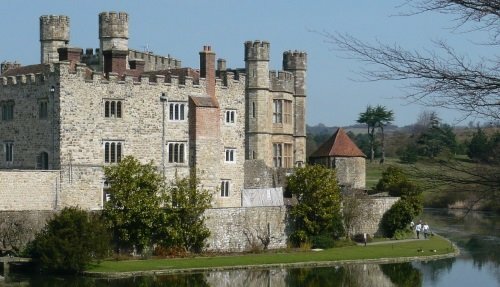 Highlights include the Downton Cottage Hospital, the surgery and Crawley’s family home. The afternoon begins with a visit to Burton, nicknamed ‘The Gateway to the Cotswolds’ for lunch and to discover the Wool Church. From here, we’ll explore the Swan Inn at Swinbrook, where Lady Sybil and Branson stayed. The trip ends with a visit to Blenheim Palace, a UNESCO World Heritage Site which has many similarities to Downton Abbey Castle. 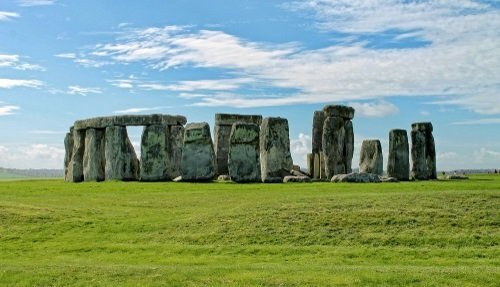 Our tour departs from London or Oxford, and is fully guided with transportation by luxury mini-coach from Central London. The trip operates from April to mid-November, every Monday with departures from Oxford or London. **Please note that this tour does not include a visit to Highclere Castle, which is the real-life Downton Abbey Castle. This is because the Castle is closed for most day of the years. However, we run separate Highclere Castle Tours on days when the castle is open. 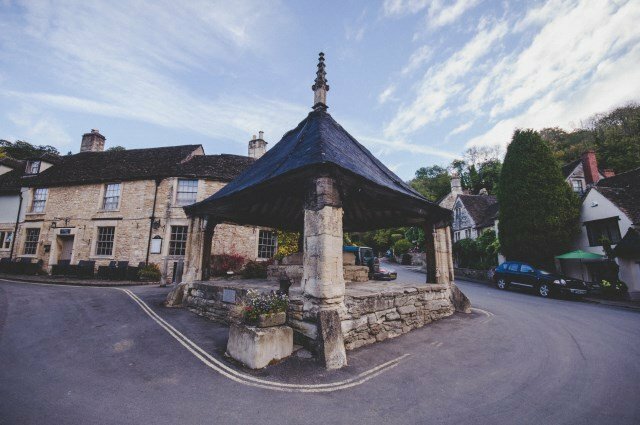 Depart London and drive into the beautiful Cotswolds countryside, famous for its picturesque landscapes and rolling limestone hills. Arrive at Yew Tree Farm, or better known as Cogges Manor Farm, the home of Mr Drewe and his family. Enjoy an exclusive guided tour of the farm before it opens to the general public! 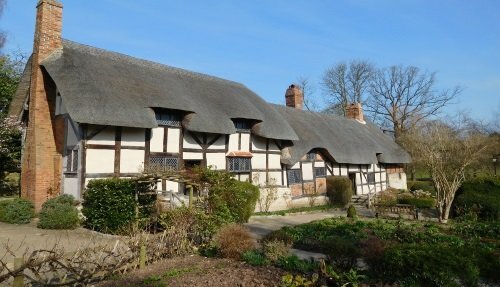 Highlights include the farm buildings where Marigold, Lady Edith’s illegitimate daughter, was being raised. After the tour, enjoy a tea or coffee break. From here, take a scenic drive through the Cotswolds countryside. The Cotswolds is one of the most beautiful regions in England, with spectacular landscapes and picture postcard thatched roofed cottages. 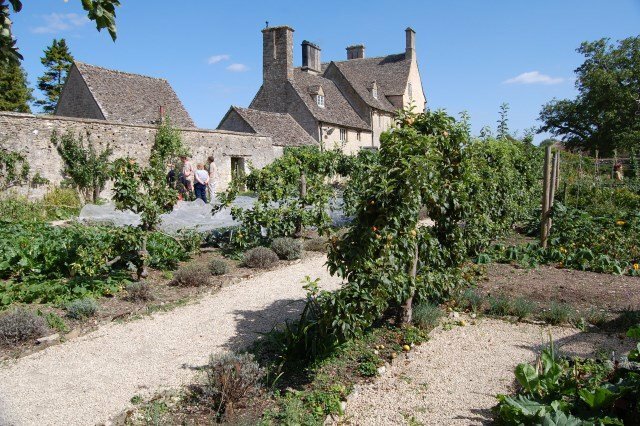 Continue onto Bampton which is the real-life village of Downton. Bampton was used for many scenes and key events in the series. The old grammar school building served as Downton Hospital. St Mary’s Church was used for many key events including weddings and funerals. Churchgate house was used as Crawley’s family home. We also stop in the idyllic village of Shilton, with time to take photos and wander the city centre. Continue to Swann Inn, Swinbrook. This Cotswolds pub was where Lady Sybil and Branson stayed whilst planning their elopement. 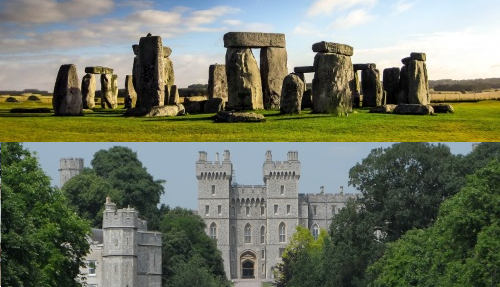 This is followed by a short stop in the village of Bladon to view the graves of Sir Winston and Lady Churchill, followed by lunch in the Woodstock. This pretty town has an excellent selection of pubs and restaurants to choose from. 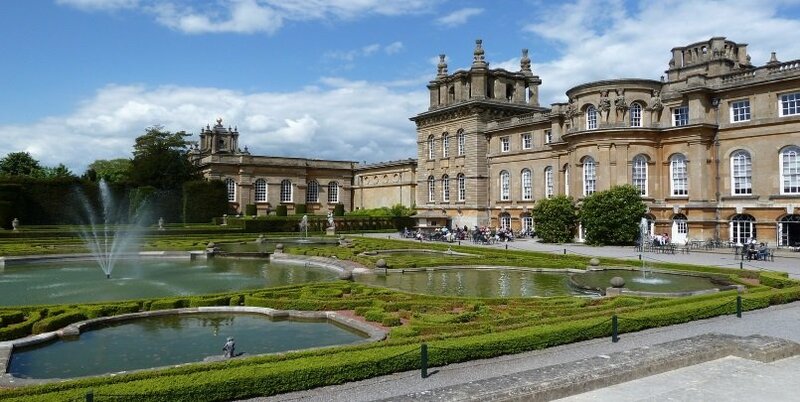 Finally, head to Blenheim Palace, which has many similarities to the world of Downton Abbey. Once upon a time, Blenheim Palace would have been a fully working residence for the Duke of Marlborough, with a full staff of maids, servants and drivers, along with fully functioning State Rooms and Dining Rooms. It was the birthplace and ancestral home of Winston Churchill. The Palace is so beautiful that it is a UNESCO World Heritage Site, famous for its elegant State Rooms, the Churchill Exhibition and magnificent Formal Gardens. 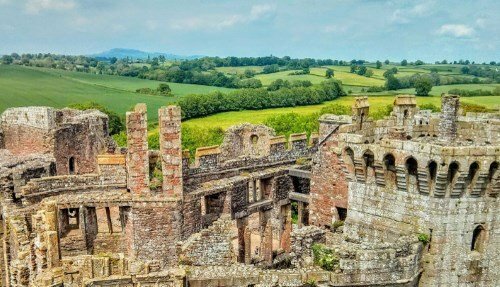 You’ll be given an expert tour around the house, which will be followed by free time for you to explore the magnificent landscaped gardens. We offer 3 different departure locations which leave Central London in the morning. 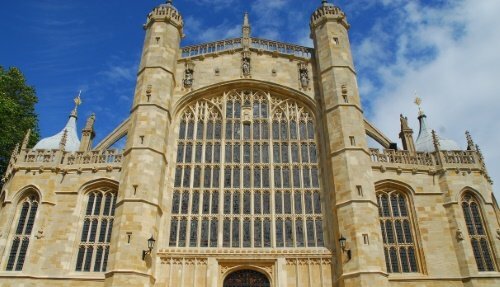 Our Cotswolds, Downton Abbey & Blenheim Palace day tour from London also includes an option to depart from Oxford. Please arrive at least 15 minutes before your scheduled departure. The tour ends in Central London at Victoria train station. This is one of the largest transportation hubs in London, with many different underground lines that link with the rest of the city.